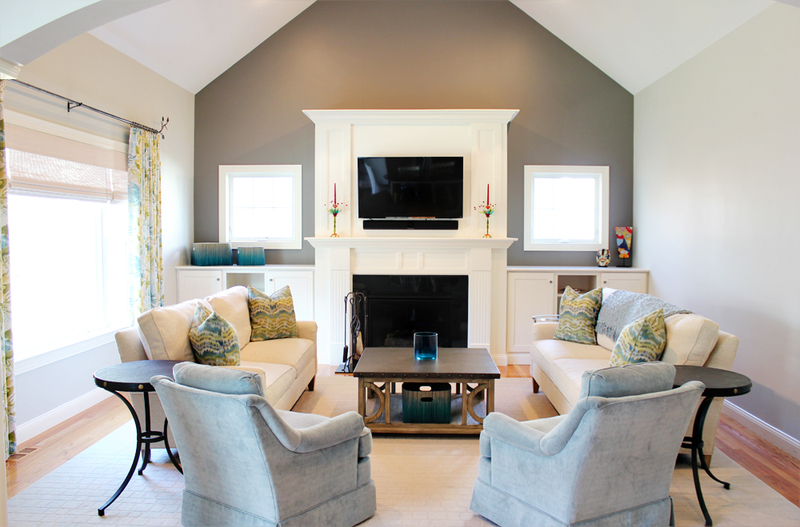 Above: This serene family room features calming shades of blue and green to create a restful, relaxing space. Above: Plush, comfortable couches and chairs are from C.R. Laine. 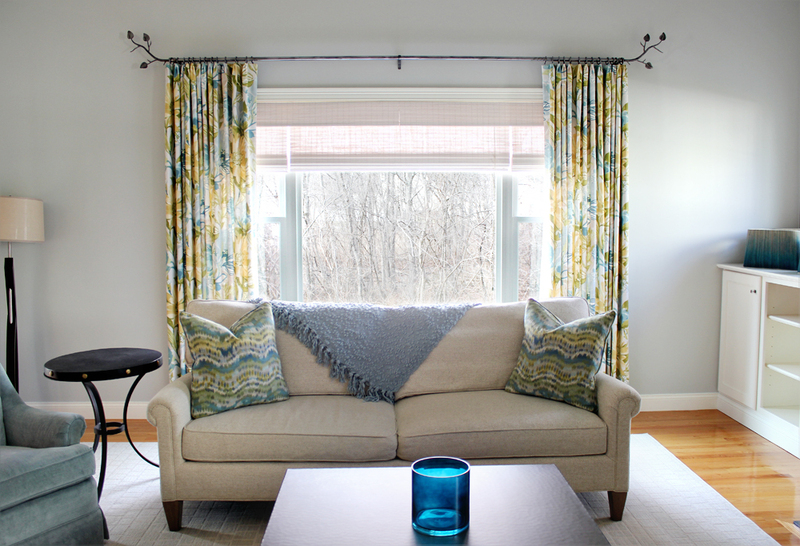 Left: Custom draperies in a floral print soften the oversized picture window. 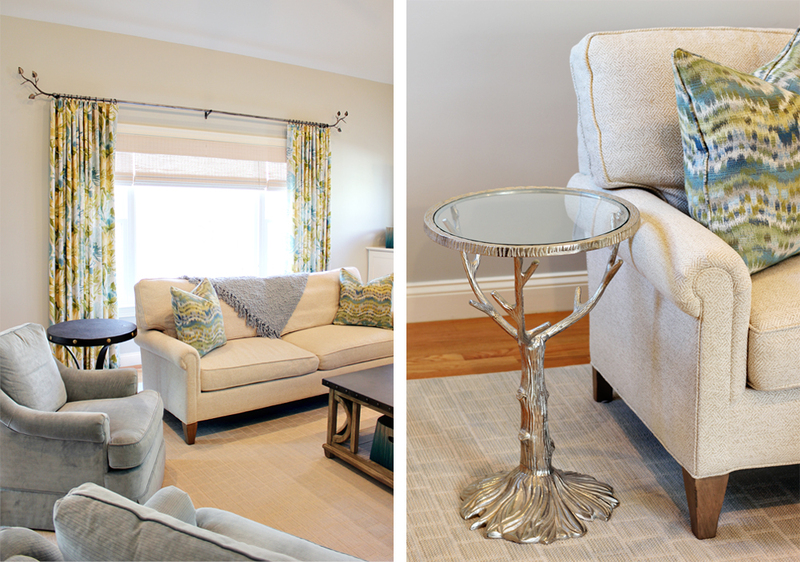 Right: A glass-topped silver tree table adds a sculptural element to the room. Left: The eat-in kitchen allows for a flexible entertaining space. Right: Soft, button-tufted host and hostess chairs are from C.R. Laine. Left: The expansive space includes the kitchen, eating area and family room. Right: Pops of lime green are carried through the space into the artwork, inspired by the Murano glass pendants. The white kitchen stools are from Maine Cottage.